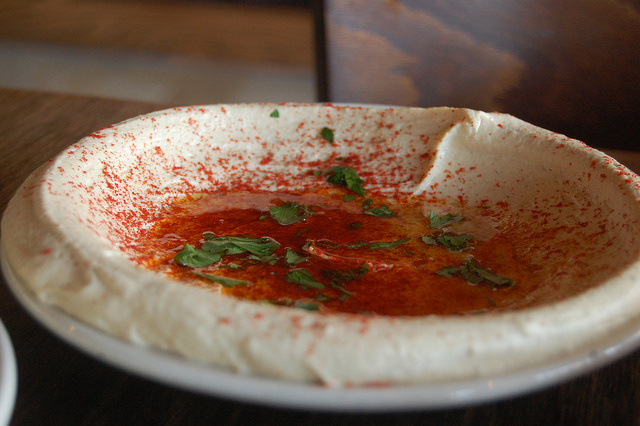 CNN has ranked hummus as the number one food on its roundup of "…20 of our favorite Middle Eastern dishes," as voted by restaurant owners and food experts. CNN has ranked hummus as the number one food on its roundup of “…20 of our favorite Middle Eastern dishes,” as voted by restaurant owners and food experts. The article states: “The big daddy chickpea spread can be slathered on anything from a burger or baked potato to the traditional hot pita bread.” The news site also recommended restaurant Abu Shukri at the Via Dolorosa, near Damascus Gate in Jerusalem. LifestyleAsia.com, a digital lifestyle guide for living in Asia, has featured a write up entitled: “10 reasons why Tel Aviv should be your next holiday destination,” citing its “chilled beach vibes,” desert nights, “friendly” visa policy, and warm weather as its top reasons to visit. The article also provides information on how to get there – direct flights are offered by Cathay Pacific and El AL – where to stay, naming the Lily and Bloom Hotel and Shenkin Hotel; and local transport. Fashion, beauty and lifestyle magazine Grazia UK has featured a spread on Tel Aviv, which outlines a weekend itinerary in the city. Mentions include eateries North Abraxas, Rothschild 12, La Shuk, Kalamata, and brunch at Hotel Montefiore; bars and clubs Speakeasy, the rooftop bar at the Poli House Hotel, Breakfast Club, Haoman 17, and The Block. Other sites of interest include: the Ilana Goor Museum in Jaffa, Carmel Market and Tel Aviv’s beaches. nytimes.com has featured an online article covering the Negev Desert, the largest spread of desert south of the country, citing it as an “…affordable alternative to Jerusalem or Tel Aviv.” The piece focuses on the budget aspect of visiting the Negev, due to a combination of increased flight from budget airlines and accommodation options, such as Kibbutzim and camping grounds. The article also mentions online trekking and camping guide Negev Highlands Trail, which offers a range of itineraries across the Ramon Crater, Sde Boker, and other sites.